Trailblazer Cordless Double Light Switch | BUDK.com - Knives & Swords At The Lowest Prices! 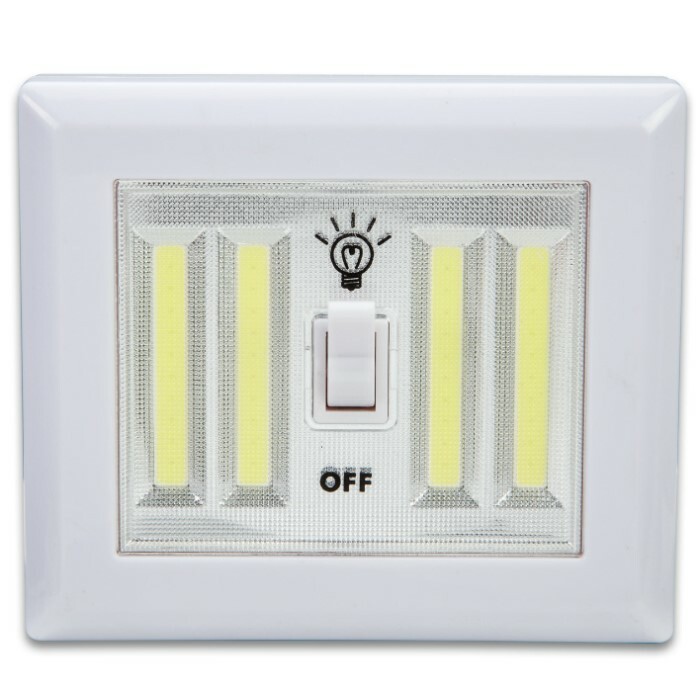 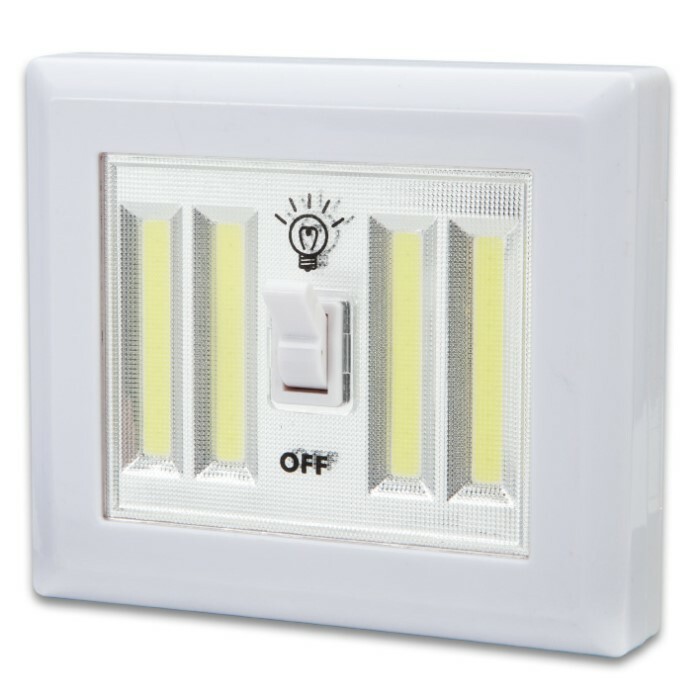 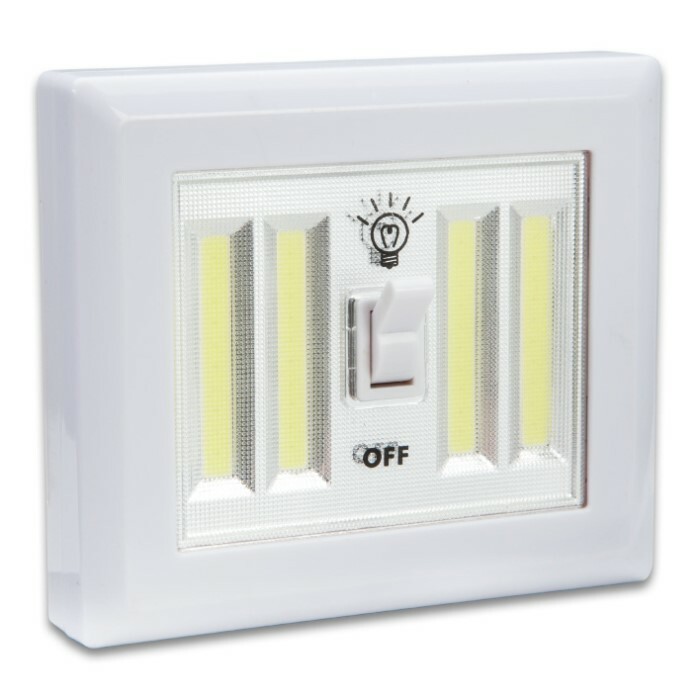 The innovative, battery-operated Trailblazer Cordless Double Light Switch night light allows you to easily add a bright, 400-lumen light to any space - great for bathrooms, children’s rooms, garages, closets, pantries, tools sheds and RVs. 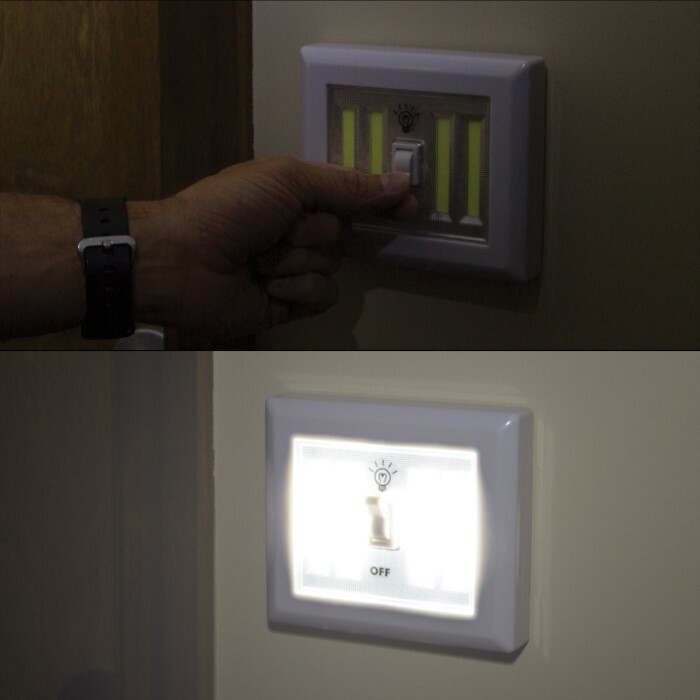 The peel-and-stick adhesive pad attaches securely to most surfaces in seconds so you can have bright light wherever you want it without dealing with messy wires! 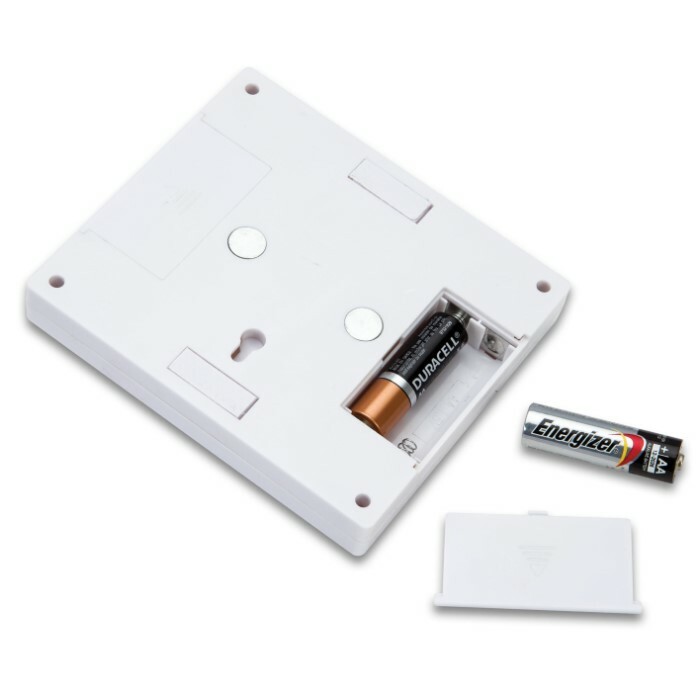 It has other options to mount it including using the magnets or hanging holes integrated into the back of the case. 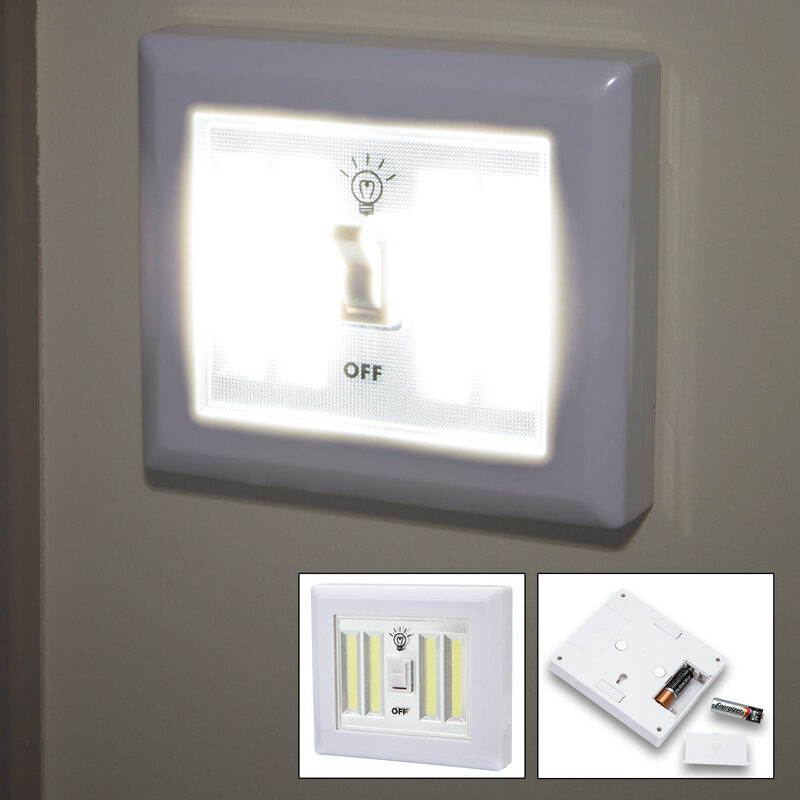 The light uses four AA batteries (not included).